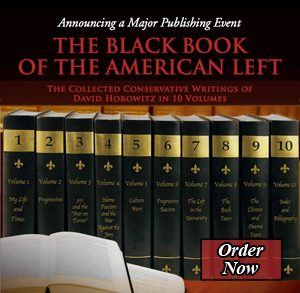 The essays included in this, the first of nine volumes on the American left—a tenth will feature a comprehensive bibliography and index—are shaped by a biographical perspective, drawn directly from my life-experiences in that left.1 They contain reflections first on the political path my life took, and then on the course pursued by others who shared that path but did not have second thoughts that prompted them to leave it. Because the left is a religious movement that engages an individual identity at the deepest levels, there can never be a separation between the personal and the political. Members of the faith know very well the implications of doubt: to leave the progressive faith is to invite expulsion from its utopia and the fellowship of its community, and forever after to be shunned as a person morally unfit for decent company. This is a daunting prospect that discourages challenges to its orthodoxy and keeps its adherents in line. This reality makes the narrative of one who departed its ranks not only a deeply personal document but also a political text. In December 1974, my life was forever altered when members of the Black Panther Party murdered a bookkeeper named Betty Van Patter whom I had recruited to keep accounts for a Panther school I had helped to create. The tragedy threw me into a personal crisis, creating an ideological turmoil that was compounded five months later by the bloodbath in Southeast Asia following the Communist victory in Vietnam. The state of distress into which I was thrown by these events was such that for more than a decade I did not engage in any political activities. During this period I took time to reflect on the beliefs that had guided me and then betrayed me, and I tried to figure out how I was going to function without them. In 1979, I had dinner in Berkeley with the leftwing author E. L. Doctorow, whose novel about the Rosenbergs had referenced one of my books. I told him of my concerns about the left, and he suggested I write them up for The Nation on whose board he sat. The result was an article I called “Left Illusions,” which The Nation retitled “A Radical’s Disenchantment.” It put my doubts before a community with whom I still identified but was getting ready to leave, though I was still reluctant to concede that, even to myself. My formal departure came in 1985 with the publication of our divorce-notice in The Washington Post. The following year I wrote “Why I Am No Longer a Leftist,” a more personal explanation of the events behind my turn. It was published in another progressive venue, The Village Voice, and is included as the second chapter in this volume. The decision to write the article was a particularly difficult one because it was the first public statement I had made about the murder. In publishing it I was concerned first of all about the safety of my family since the killers were still at large (as they are today). The fear was great enough that I did not name the individuals I believed responsible. This was something I would eventually do seven years later in a lengthy autobiographical article “Black Murder, Inc.,” which is included as chapter five in the present text. ema was pronounced in the form of an article that appeared in the same paper shortly afterward called, “The Intellectual Life and the Renegade Horowitz.” It made clear that my words were not going to be taken as an attempt to retrieve a bitterly earned truth about what we leftists had done, but as the betrayal of a noble cause by a person who had gone over to the dark side. The author was the socialist writer Paul Berman; he began by praising me as an intellectual leader among New Leftists in the Sixties and concluded by damning me as one who now consorted with monsters, in particular with a homicidal member of the Nicaraguan contras whose nom de guerre was Suicida. This was, in point of fact, an individual I had never heard of, and whom the contras themselves had executed for his crimes, which were indeed heinous. This kind of reckless assault on my character was to prove typical of the left’s responses to my work in years to come. A year after the Voice article appeared, Peter Collier and I organized a “Second Thoughts Conference” in Washington to which we invited others who had taken steps along the path we had chosen. Two years later we held another Second Thoughts event in Cracow, Poland, just months before the collapse of the Communist regime. The speech I gave, “Reality and Dream,” whose text is included as chapter three in this volume, was an effort to tell my story and summarize the case against socialism for an audience whose members were still prisoners of the Soviet occupation. While focusing on the left, I also felt the need to define the new “conservative” outlook at which I had arrived. The article “My Conservatism” is a statement of the views I had developed, along with the reasons I did not regard this new perspective as parallel to the one I had abandoned but different in its very nature. I addressed the same subject in The Politics of Bad Faith, which was published in 1998, and which contains the fullest statement of the rationale for my political change. The event that forced me to look at the reality of what I and my comrades had done is the subject of the memoir “Black Murder, Inc.” At the time the crime was committed, the Black Panther Party was regarded as a progressive vanguard and its leader Huey Newton was being compared in The New York Times to Martin Luther and Mahatma Gandhi. Even today, in respected academic texts like Henry Louis Gates’s African American National Biography, the Party is portrayed as a noble vanguard, victimized by a racist government. This is a reflection not of the facts but of the way the left dominates and has corrupted the academic culture— the subject of the sixth volume of The American Left, titled The Left in the University. After the publication of the Post and Village Voice articles, liberal venues were for all intents and purposes closed to me as a “renegade” from their ranks. “Black Murder, Inc.” first appeared in a publication that Peter Collier and I had created, called Heterodoxy. We published it on the front page with a “Wanted” poster of Elaine Brown, the Panther most directly responsible for the murder, although I have no doubt that it was Huey Newton who ordered the execution from his exile in Cuba. One of the most unpleasant responses of the left to the article was to attempt to place the blame for Betty’s death on me. “Letter to the Past” is my reply to one of these accusations made by a lifelong friend of mine who had remained on the left and was obviously a friend no more. Our exchange reflects the raw emotions I felt at the time. In retrospect, it is clear to me that the failure of the political culture and major media to take note of the Panthers’ crimes and be horrified by them, indeed the support the perpetrators received from the progressive ranks, was a small but ominous sign of the profound change that the Sixties left had worked on the American political landscape. The resurfacing in the 1990s of a violent radical like Weatherman leader Bill Ayers as the intimate political ally of a future American president is a parallel phenomenon. It indicates just how far the influence of the left has reached. Progressives are necessarily forced to choose between the future they desire and the reality they inhabit. The primary moral obligation of a revolutionary is to destroy the existing social and political framework in order to prepare the revolutionary future; and radicals perceive America as the principal defender of the capitalism they hate all over the world. Consequently, a radical politics generally leads to uncertain loyalties to country and community. Yet leftists have succeeded in making the issue of their loyalties the most taboo of political subjects, deploying blanket charges of “McCarthyism” and “witch-hunt” as a way of silencing their critics. As someone who experienced the conflict between principles and country directly, I have inevitably made them a focus of my work. “Treason of the Heart,” an article written to promote my autobiography Radical Son, includes the accounts of three episodes, described in the book, which dramatize this conflict. Having rejected the left, I quickly discovered that the political center where I expected to find a home had vanished, while outlets for my work that I had expected to be available had shut their doors to me. “A Political Romance” was written at the request of an editor at The New York Times Sunday Magazine, who wanted a piece for the weekly “Lives” feature located at the back of the issue. I undertook the assignment as a challenge; another attempt to sum up in succinct fashion the hard lessons I had learned. But when I submitted the article, the editor rejected it by saying that it wasn’t the “type” of piece The Times had in mind for the feature. I was skeptical of this explanation, and suspected that what the editor really didn’t like about the article was its political conclusion rejecting the left. This was borne out a few weeks later when the “Lives” page featured another piece, which was also about the left and was written as though it had been commissioned in reply to mine. The author was a leftist who admitted to some second thoughts about what she and her comrades had done in the Sixties but, in contrast to me, resolved not to abandon what she still regarded as a noble cause. This episode provided a particularly dispiriting indication of the media environment in which I was now operating. Despite my quarantine as a conservative, I was still interested in engaging younger leftists, hoping I might help them avoid the painful lessons I had been forced to learn. “Think Twice” is an open letter to young people who protested against an American response to 9/11 within two weeks of the attacks. Almost a decade after publishing Radical Son, I again turned inward in a series of books that I regard as my best writing. They include The End of Time and A Point in Time, along with the memoir I wrote about my daughter Sarah, A Cracking of the Heart. Those reflections articulated the themes that have animated my life’s work. The “End of Time” in this volume is a presentation I made to promote the book. It consists of excerpted passages interspersed with commentary, and provides a glimpse of how I came to connect the personal with the political in the autumn of my career. “What My Daughter Taught Me” describes the dialogue I had with Sarah before her untimely death about the way in which human beings might make the world “a better place.” My daughter Sarah was a compassionate soul and our discussions were the kind of dialogue I missed on the infrequent occasions when liberals bothered to address my work. The most unpleasant aspect of my political odyssey has been the relentless, often malicious distortion of the positions I have taken by those who disagree with my political conclusions. Three of the last four articles in Part I deal with this phenomenon. The first, “Getting This Conservative Wrong,” is my response to an academic historian named Kevin Mattson, who profiled me in a book called Rebels All! as the exemplar of a “post-modern conservatism,” ascribing to me views I simply did not hold. This was typical of the responses to my work by critics from the left who rarely engaged my ideas in an intellectual manner but picked at them hoping to find ways to discredit their bearer. The only real interest they showed in my work, or that of other conservatives, was to make it a symbol of something to despise and suppress. “Something We Did” is my response to a caricature of me in an Off-Broadway play about the Weathermen terrorists called Something You Did. The intention of the play was to exculpate the guilty and indict those who attempted to hold them accountable. Like Kevin Mattson, the playwright had no interest in defending, let alone correcting, his distorted views when I confronted him with the facts. Another example of this syndrome is described in “Who I Am,” which is my response to a cover story that appeared in The Tablet, an online magazine for Jewish progressives. The Tablet’s editors had assigned a very young leftist the task of doing my portrait. The piece he finally produced, “David Horowitz Is Homeless,” was an attempt to portray me as a hapless figure whose fortunes were declining as he approached the end of his life, where he found himself lost between the warring camps of left and right, unable to find a home in either. “Who I Am” is my attempt to put the facts back in place. The Tablet declined to publish it, but this self-portrait provides a reasonable facsimile of my state of being in what was then my seventy-third year. Peter Collier has been my friend for fifty years. He was my collaborator at Ramparts and in the launching of my literary career with three dynastic biographies we co-authored about the Rockefeller, Kennedy and Ford families—all New York Times best-sellers, The Kennedys reaching the top of that list. Peter was also my confidant and partner in the joint transition we made from left to right, organizing the “Second Thoughts” conference with me, coauthoring our démarche in The Washington Post and co-writing Destructive Generation, which we published in 1989. Peter has also been my collaborator in guiding the David Horowitz Freedom Center, although he took a ten-year hiatus to create Encounter Books, an independent publishing company. During that time, he continued to edit our magazine, Heterodoxy. “Peter and Me,” an introduction I wrote to a talk he gave at the Center’s Wednesday Morning Club about his biography of Jeane Kirkpatrick, is my tribute to a valued friend and colleague and the impact he has had on me. The essays that make up the second part of this volume begin with “Goodbye to All That,” our swansong to the left. The article was published by The Washington Post under the title “Lefties for Reagan” and was our formal “coming-out” as conservatives, although it was based on second thoughts that had been gestating since the mid-Seventies. The next two essays, “My Vietnam Lessons” and “Semper Fidel,” belong to this genre, and are attempts I made to confront our radical cohort with the harsh realities of what we had actually done. Vietnam was the defining issue of our generation but the events that unfolded proved that those of us who were active in the anti-war movement had been wrong on every critical point, and that our actions had tragic consequences for the people we claimed to be defending. My decision to vote for Ronald Reagan and join the conservative cause was also inspired by events in Nicaragua where Castro Marxists had seized power through a political coup. “Semper Fidel,” originally titled “A Speech to My Former Comrades on the Left,” was about those events. It was given at a conference organized by Berkeley radicals who probably didn’t realize what they were in for, and who shut off my microphone before I could finish. that provoked our response was written by Paul Berman who insinuated that the sins we described in Destructive Generation were basically our own, and did not reflect the general behaviors or attitudes of the left. This attempt to revise the past was a common tack of the leftists we now faced. In “Carl Bernstein’s Communist Problem and Mine,” I drew on my personal experiences to expose the misrepresentations in the memoir this Watergate reporter had written about his Communist childhood. The article has even more resonance today than it did when I wrote it because it describes, from the inside, the milieu in which the 44th president of the United States also grew up, along with his chief advisors David Axelrod and Valerie Jarrett. Time and again as I attempted to describe my experiences as a radical, I encountered the resistance put up by leftists to any candor on the subject, their inability to face up to the past, and their penchant for rewriting it instead. “Still Lying After All These Years” and “Repressed Memory Syndrome” are efforts to address this resistance to historical truth. I am not referring here to differences in interpretation of what happened, but to the deliberate suppression of facts or inversion of facts in the service of a political cause. It was a continuing source of fascination to me that progressives, who had been so demonstrably on the wrong side of history during the Cold War, were able to maintain their air of superiority when it was over, while simultaneously marginalizing conservatives in the academic and literary cultures they dominated. The essay “Marginalizing Conservative Ideas” is another facet of my ongoing effort to identify the differences between the two perspectives that lead to such different outcomes. In the two articles “Can There Be A Decent Left” and “The Left and the Constitution,” I analyze the nature of the left by engaging the ideas of two of its more intellectually interesting figures, Michael Walzer and Hendrik Hertzberg. Regrettably, neither one responded to these overtures, a not uncommon occurrence. The nature of the left is also the subject of the three essays on “Neo-Communism,” which were written after the onset of the Iraq War—an American intervention vigorously opposed by almost the entire progressive spectrum, with notable but rare exceptions such as Hitchens and Paul Berman. (The latter was steadily moving from his earlier positions and was no longer an antagonist of mine.) That war proved to be a defining political crossroads, and I used the occasion to articulate my understanding of what the “post-Communist” left shared with its Communist precursors. The continuities of the left by now had become a central theme of my work. “Neo-Communism,” a term I chose to characterize the left, failed to catch on, as I had suspected it would. This was a credit to leftists’ success in embargoing attempts to link them to their Communist predecessors by associating their critics with problematic figures like Senator Joseph McCarthy. The very use of the word “communist” is taken to be evidence of “McCarthyism.” But the effect of accepting the preferred euphemisms, such as “progressive” and “liberal” (a term applied by The New York Times even to card-carrying Communists like Angela Davis) has had the dual effect of obscuring their agendas and burying the lessons of their past. The second volume of this series, Progressives, returns to these issues. The chapter “Discover The Networks” is the defense of an online encyclopedia of the left I created by that name, and a further attempt of mine to provide a taxonomy of the species.7 “Keeping an Eye on the Domestic Threat” is a further explication of this database, and thus another inquiry into the nature of the faith. The essays in this section, “Slander as a Political Discourse,” address several attempts to distort the facts of my life in order to discredit my ideas and neutralize my criticisms of the left and its deeds. It includes an exchange provoked by Sidney Blumenthal’s libel suit against Matt Drudge, which throws light on the techniques leftists employ to defame and then quarantine critics, and reflects the particularly low state of political discourse at the time. I knew John Judis, the author of one of these attacks, when he was an editor of Socialist Revolution. Later he became an editor of The New Republic, and was able to write a fairly objective biography of William F. Buckley. The fact that he would advocate a boycott of the magazine Peter and I published is just one indication of the determination of progressives to create a wall of silence around our work and prevent us from reaching the next generation with what we had learned. This volume concludes with the texts of two talks I gave on autobiographical themes. The first was given over the fierce objections of my leftwing classmates to my 50th class reunion at Columbia College. In it I attempted to weigh the changes that had taken place over the course of the half-century since we had graduated, and explain the conservative viewpoint to an audience that remained steeped in the presumptions of a progressive culture. The second is a speech I gave at the annual dinner of the Zionist Organization of America, which provided me an opportunity to reflect on my identity as a Jew, my attitudes towards Israel and America, and to the war against them.